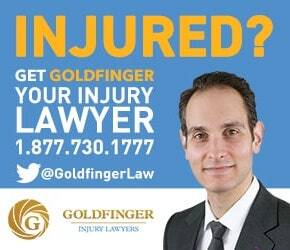 The Goldfinger Guide list pain and suffering claims near the end, because it is so difficult to sue for pain and suffering in Ontario given the present state of the law. Pain and suffering claims are referred to as "tort" claims at law. Get used to the term. Tort claims are meant to compensate you for your pain and suffering (general damages), past and future loss of income, loss of competitive advantage in the workplace, future care costs not covered by accident benefits, loss of enjoyment of life, special damages like your out-of-pocket expenses, aggravated damages, punitive damages, and any other damages which you sustained as a result of your car accident. In the United States we hear of huge multimillion pain and suffering awards for personal injury claims. In Canada, we do not have such big awards for pain and suffering. The reason is that in Canada, there is a cap on damages for pain and suffering claims. This cap was set by the Supreme Court in a series of cases called "the trilogy". Damages for pain and suffering are capped at around $317,000. This figure gets adjusted every year or so to account for inflation and increases to the cost of living. The maximum award for damages for pain and suffering are granted to a person with extreme pain and suffering and extreme injuries such as loss of limb, paraplegia and a brain injury. It's important for all accident victims to understand how damages work for their tort claim, so they have a realistic expectation of what their potential award could be. Many people have fixated amounts in their heads about how much their case is worth without properly understanding the law of damages. People get these figures from friends, family, advisors, or things they see on television. There is nothing more fatal to a case than an accident victim with a fixed number in their head which is based on unrealistic expectations rather than the law and facts about their case.